The predicted shadow path tracks east to west. Note that there are two prediction feeds for this event. The North American Low Magnitude Feed centers the event directly over the RECON network. The IOTA Feed places the centerline prediction over the southern portion of the network. However, the full network is still within the 2-sigma uncertainty. In advance of this event, please sign up for the event on OccultWatcher. Also, be sure to charge the power supply for the telescope and camera and charge your netbook. 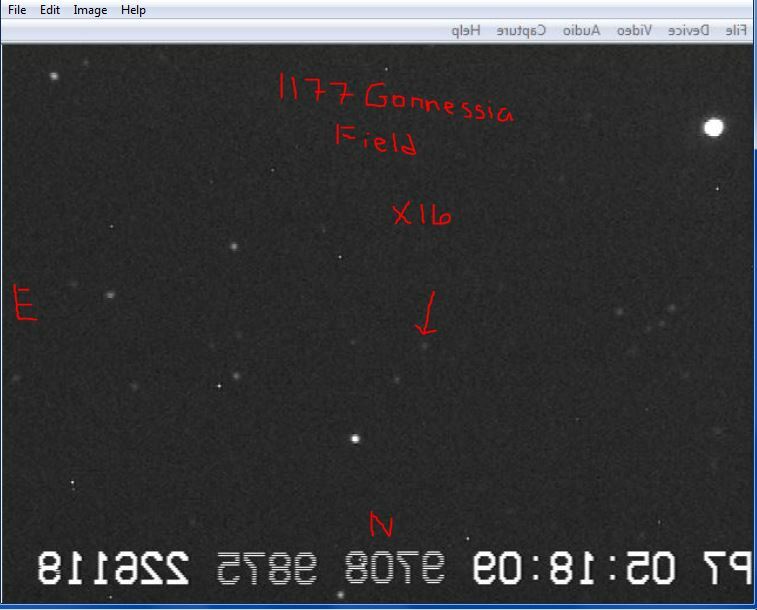 Also note that you can practice for both (1177) Gonnessia and (429) Lotis leading up to both events. 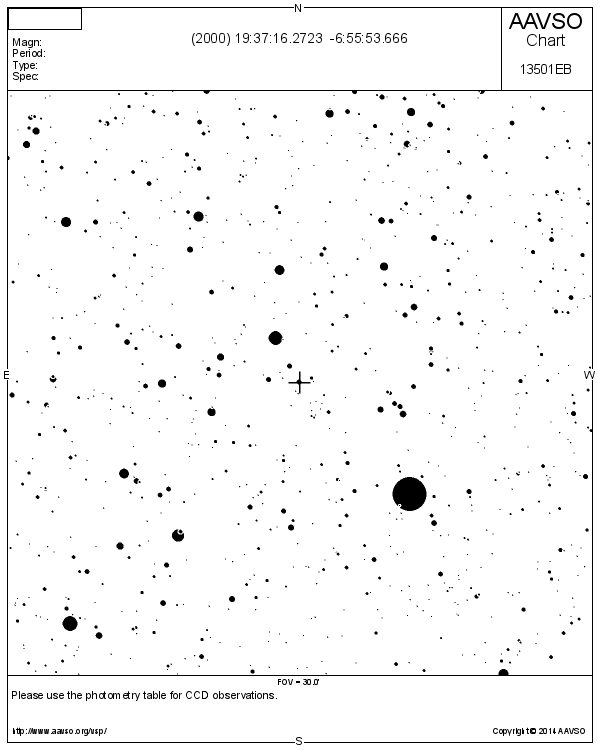 Because it takes the Mallincam time to stabilize after changing sense-up settings, observers should be on the field and change the recording sense-up value by 06:28 UT (11:28 PM PDT). Thank you for keeping track of your observations using the RECON Observation Logsheet. sep = degrees from the target star, moon is how far the hop star is away from the Moon. 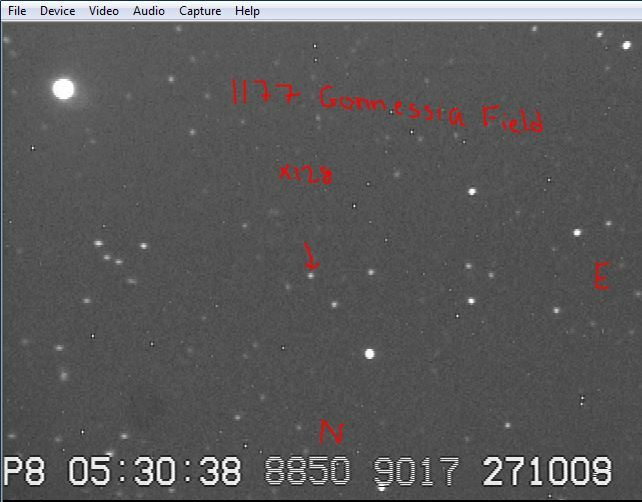 Image of star field taken by Carson City Team using senseup of x16 and a diagonal.